The Home Office has intensified consultations with police chiefs over its new police IT strategy after it emerged some of them were not convinced the proposals for reform were sound. Nine months after Home Office adviser Lord Wasserman was due to publish his police IT proposals and almost three months since home secretary Theresa May told the police chiefs' summer conference he had been told to get on with them, the details remain private. May announced in July that the National Policing Improvement Agency (NPIA) would be turned into a part-public company. But a source close to the consultation said police chiefs were sceptical of the idea, dubbed The Future of Police IT, because details were scant, a view echoed by the Home Affairs Select Committee's recent report into the matter. The proposal would involve considerable overhaul of police IT, with repercussions for 5,000 staff operating 2,000 computer systems in 100 datacentres. A Home Office spokesman told Computer Weekly: "We have had detailed discussions with chief constables, CIOs and IT directors. These consultations will be expanded as detailed proposals on the legal, financial, technical and governance aspect of the company develop." Chiefs were sceptical of the central proposal for IT procurement functions of the NPIA to be spun off into a private company, part-owned by police, government and industry. The Home Office said the immensity of police computing infrastructure justified the spin-off. It would charge the controlling company, dubbed "GovCo", with consolidating police IT to cut costs. But some police chiefs thought NPIA was already doing a good job of what the Home Office said GovCo should do, according to a source. 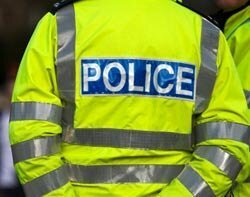 Computer Weekly recently revealed NPIA had already consolidated half of all police IT, worth £600m, since it was formed in 2007. The chiefs expected final proposals would be contingent on the consultation, despite accepting they must bow to government policy. The Home Office is meanwhile expected to publish its proposals on 1 November. The Association of Chief Police Officers (ACPO) recently modified Cabinet meeting minutes in which Metropolitan Police CIO Ailsa Beaton, who May appointed as Wasserman's number two at GovCo, claimed to have presented chiefs with a letter from Wasserman about his reform proposals. ACPO said police were not given the document after all, implying their ignorance of the reforms. NPIA meanwhile publicised a raft of achievements in recent months, including the launch of the Police National Database.